If you wanted to know more about the interesting little facts about the African nation of Mali, then this article will let you do just that. Mali is a country that is located in West Africa and is known officially as the ‘Republic of Mali’. It is a land locked country and shares its borders with seven other countries which include Algeria, Burkina Faso, Guinea, Cote d'Ivoire, Mauritania, Niger and Senegal. The country of Mali lies on the land that once formed the heart of what was the West African empire, dating back to the 6th century AD. A few centuries later the region of Mali came to be controlled by the French and became one of their colonies. It was later freed, and along with Senegal, formed the Sudanese Federation. Once Senegal seceded, the Sudanese Republic also ceased to exist under that name because it was at this point that the country got its name “Mali”. Since its independence the nation has seen its share of tough times, especially when it was being ruled by a military dictatorship. It finally held elections in 1992 and set up a civilian government that labors hard to make the nation Prosper. Rock paintings found in the region of Gao and Timbuktu suggest that the region of Mali was inhabited even around 50,000 BC. The three great empires to have risen in Mali are the Empire of Ghana, the Empire of Mali and the Songhaï Empire. Mali was named after the Empire of Mali. The Songhai Empire was destroyed in the 16th Century AD by Moroccan mercenary armies. The next prolonged rulers of the region were the French who took over around the end of the 19th Century. Mali became independent from French rule on 22nd December 1960 but adopted its constitution only on 12th January 1992. 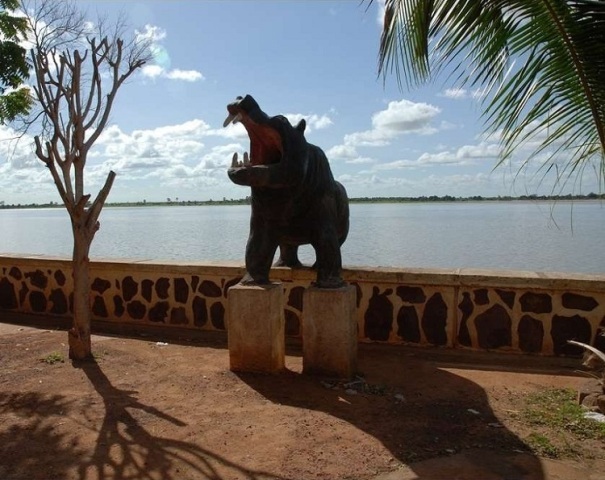 Bamako is the official capital of Mali and the most commonly used languages used there are French, Bambara, Berber and Arabic. In 1968 Moussa Traoré overthrew the first president of Mali, Modibo Keita, and established a military dictatorship that lasted till 1991. Moussa Traoré was finally deposed by the army, under the command of General Amadou Toumani Touré who established an interim government and set up a multiparty election system. Almost 65% of the land of Mali is a desert which limits the economic activities to the area which is irrigated by the Niger River. Being one of the 25 poorest countries in the world, Mali depends a lot on the aid sent by other countries. The main exports from Mali include cotton, gold and livestock; which explains why Mali is sensitive to the international gold exchange rates. The current estimated population of Mali stands at 13,796,354 people (as of July 2010) and consists of people belonging to tribes like the Mande, which is made up of the Bambara, Malinke and Soninke, Peul, Voltaic, Songhai, Tuareg and Moor. The culture of Mali is a mix of the cultures of the nomadic Tuareg people and Fishing people of the Bozo tribe. The Mande tribe is the largest of all the tribes and accounts for at least 50% of the population. The hottest months in Mali are those of April, May and June when temperatures can go beyond 40 deg C. The rains come in from July to August after which the heat rises again. The best time to visit Mali is from November to January because the temperature around these times is generally about 30 deg C.